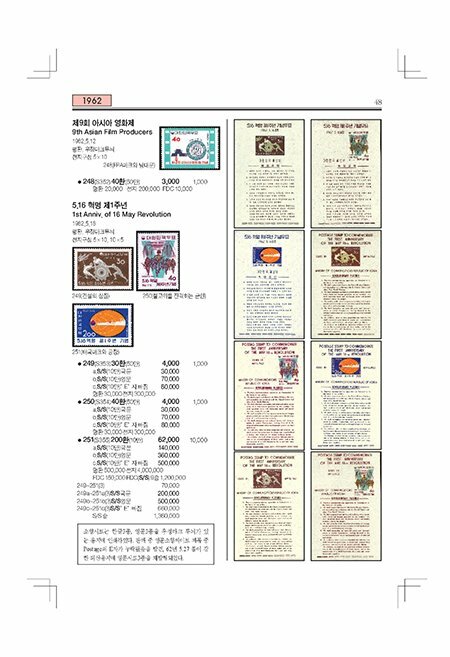 As was the case in previous recent editions the KPSC contains both the postage stamps of the Korean Kingdom/Empire period (1884-1905) and the Republic of Korea (1945 up until Q2 2018). 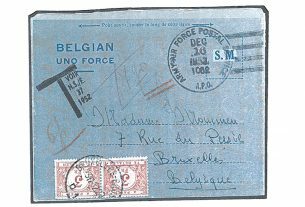 Besides the postage stamps other specialties include many types of postal cards and aerogrammes plus the Christmas seals and (national) revenue stamps. 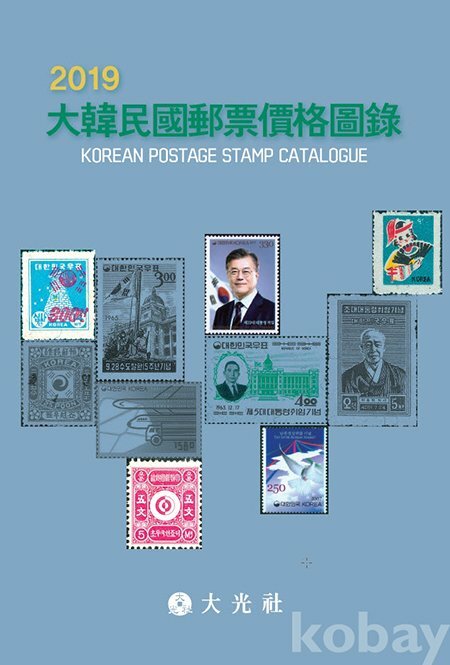 The catalogue is available on either Ebay (search for “Korean Postage Stamp Catalogue”) or, if you can read/write Korean and have a Korea bank account, Kobay (search for “대한민국우표가격도록”). 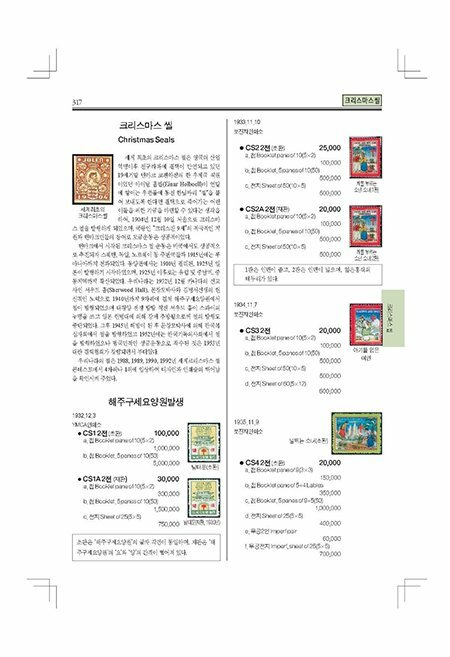 A good grasp of the Korean language is useful in any case as the text in the catalogue is (understandably) almost exclusively Korean. how far (to which year) does the stationery section go. 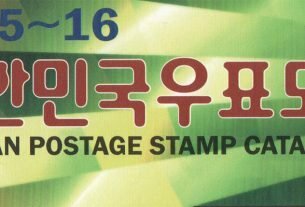 In the past issues of the KPSC, stamps were up to date . But the stationery made a halt ca. 2012. I do not think they stopped issuing e.g. new years stationery in 2012. To 2017, or does it end ca. 2012, as with the recent elder catalogs? It doesn’t, as in: there is no (complete) stationary section… At least, I can’t find much of it. I have the 2009-2011, 2011-2012, 2015-2016 and now 2019 editions. 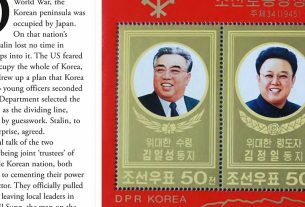 The 2009-2011 edition shows stationery up to 2008 and the 2011-2012 up to 2011. 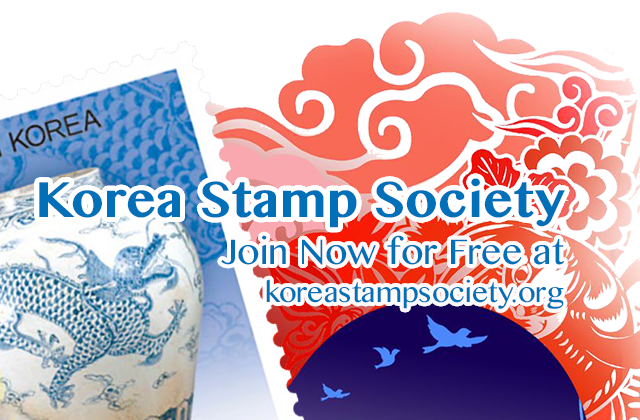 For instance “CPC172” from 31 March 2011 and NPC158 dated 1 November 2011 are listed in the 2011-2012 edition. 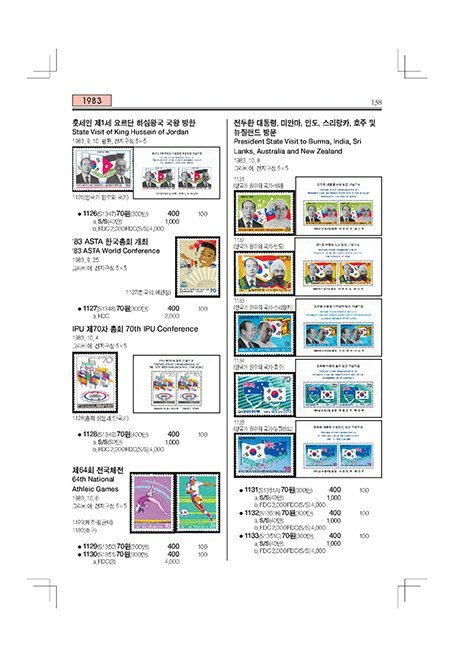 But in the 2015-2016 NPC125 (2002) is the last card listed while the 2019 edition doesn’t have any of these! 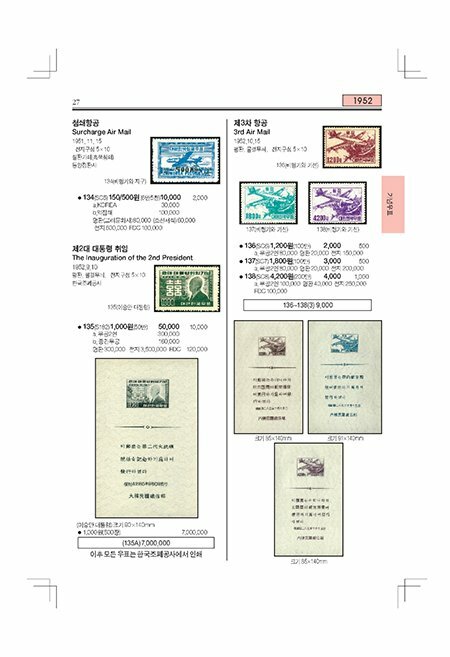 It seems that in order to keep the number of pages the same while having to insert more years of stamps other parts have been omitted. 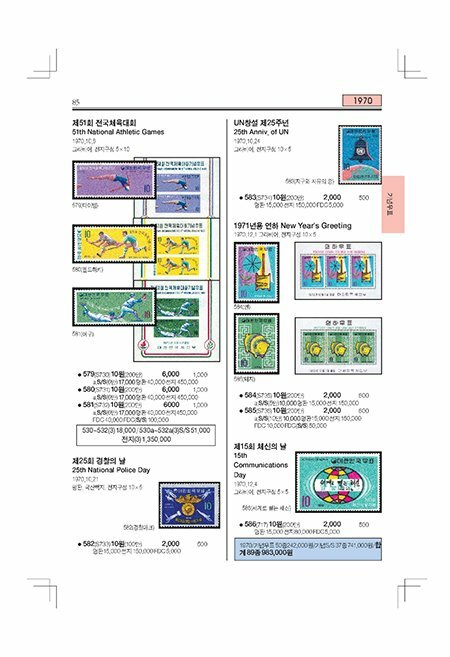 I guess if you want a more complete stationery listing you have to get hold off the 2012 stationery catalogue (also listed here in the website), while newer stationary can be found on the KoreaPost website. Also, they have dropped a lot of information on the earlier issues. 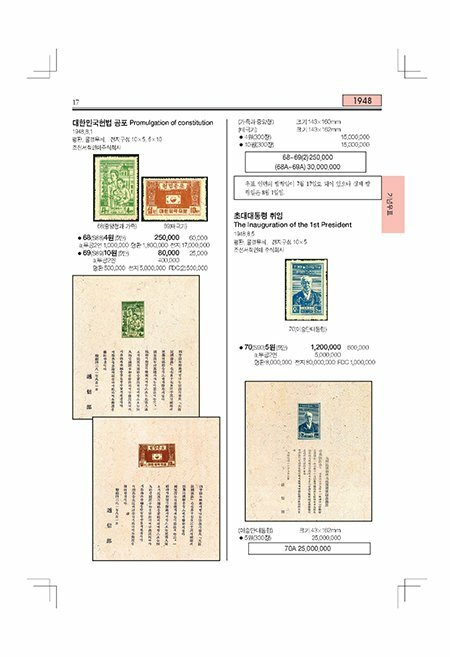 In the older KPSC catalogues they used to have a lot more information and had perforation 10’s listed for these “Plum-blossom” 1900 issue of stamps. 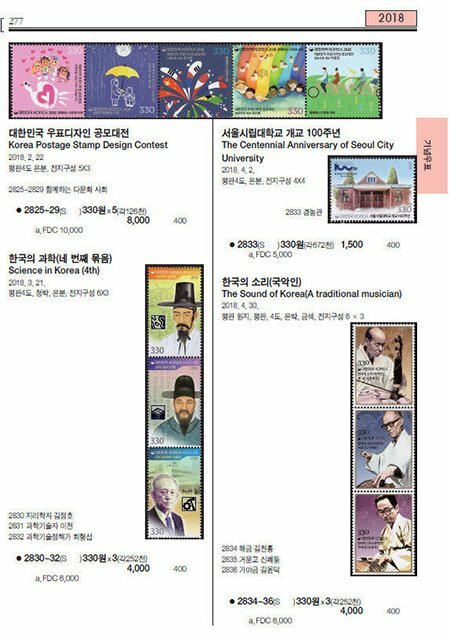 For example, in the 2009/10 KPSC they had the Scott 20Ba listed as 16a with a value of 80,000 won. 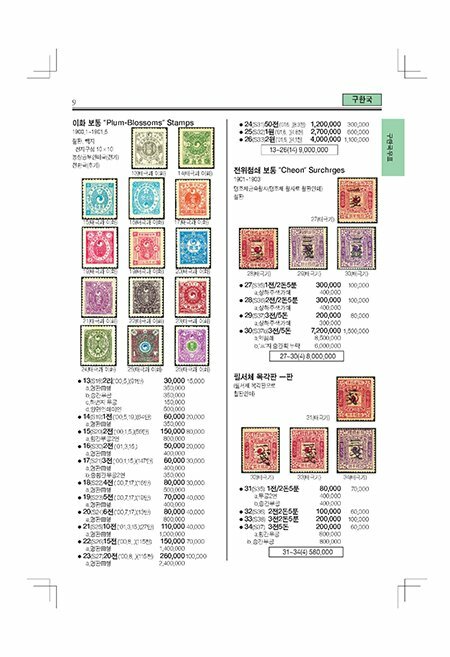 The earlier 2 chon, which many people get mixed up with 20B because they are blue and have similar designs, is listed as 20 in Scott’s and 15 in the KPSC and only as perforation 10 and value of 170,000 won. 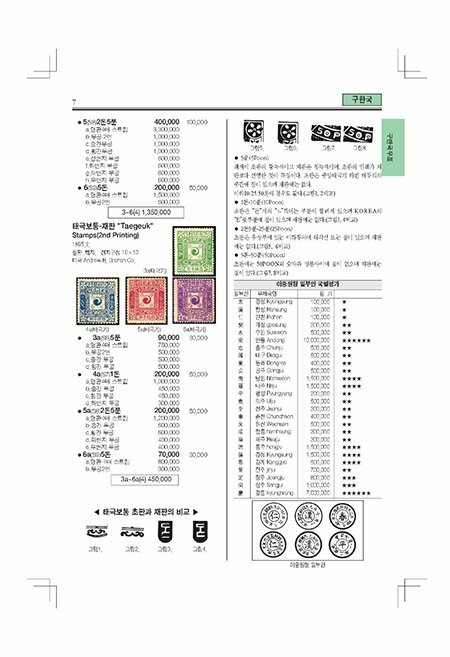 I have this one MNH. 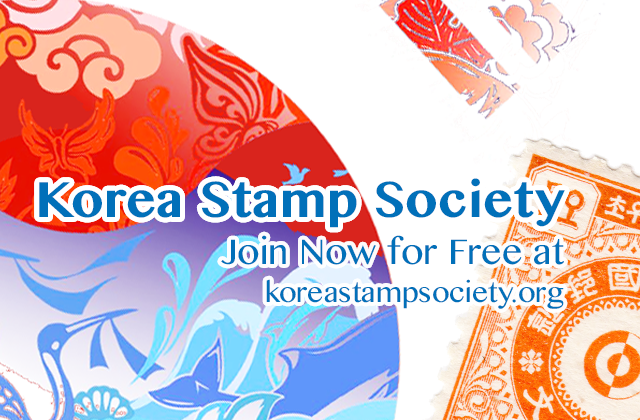 The new 2019 KPSC dropped a lot of information and now does not list the differences of these issues, unfortunately. My guess: they had to cut out a lot of information because the number of pages couldn’t keep on going up. I have a few editions from the last years and the number of pages has gone from approx. 280 around the year 2000 up to almost 400 today. Also, there is a lot less white space on the pages, things are looking a lot more cramped. 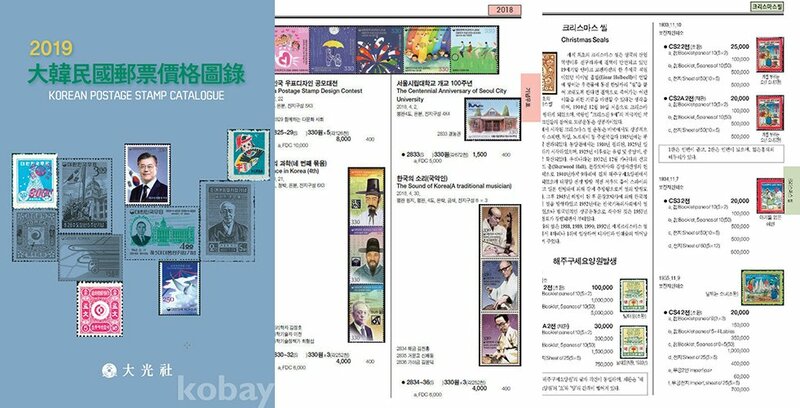 It is very understandable: all the new stamps need a spot of course., but there probably is a limit to the number of pages before it gets too expensive and this is the result. 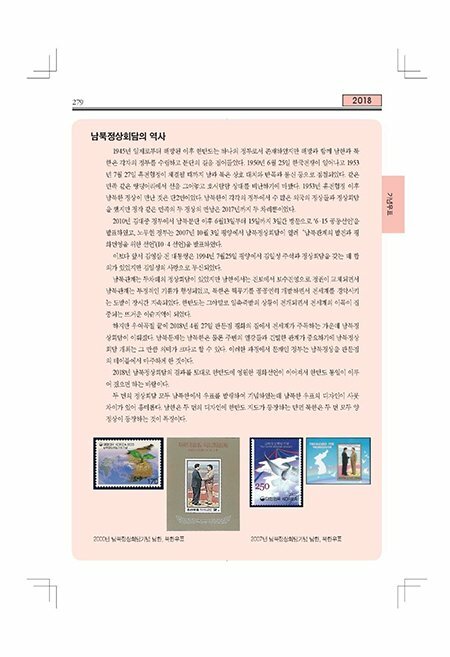 Maybe splitting the catalogue into two parts, such as the postage stamps in one and all the “specialties” in another part, might be an idea? 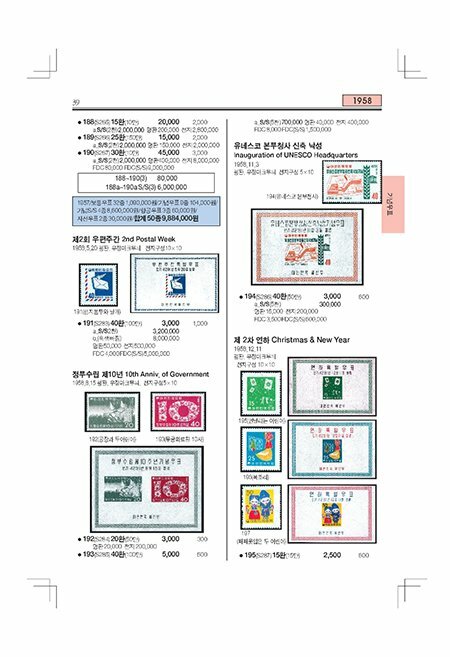 The specialty part could then contain a lot more information, such as (introductions to) local and specialty revenue stamps, or full sheets (in reduced size of course) of Christmas seals. 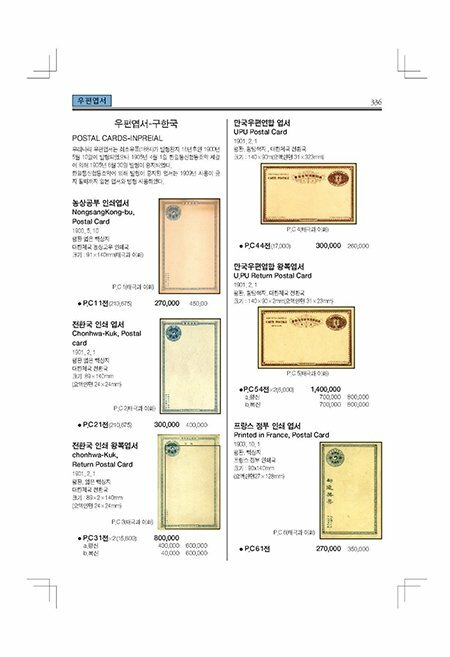 Also, postal stationary etc. could be included. I would definitely pay for both catalogues. 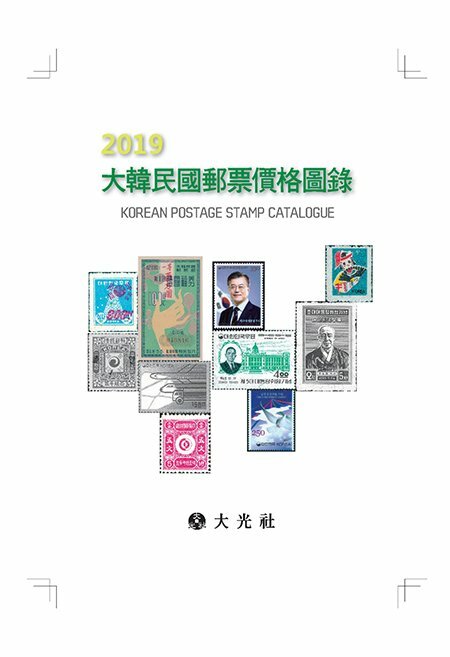 i wish to purchase a copy of the 2019 Korea postage Stamp catalogue.